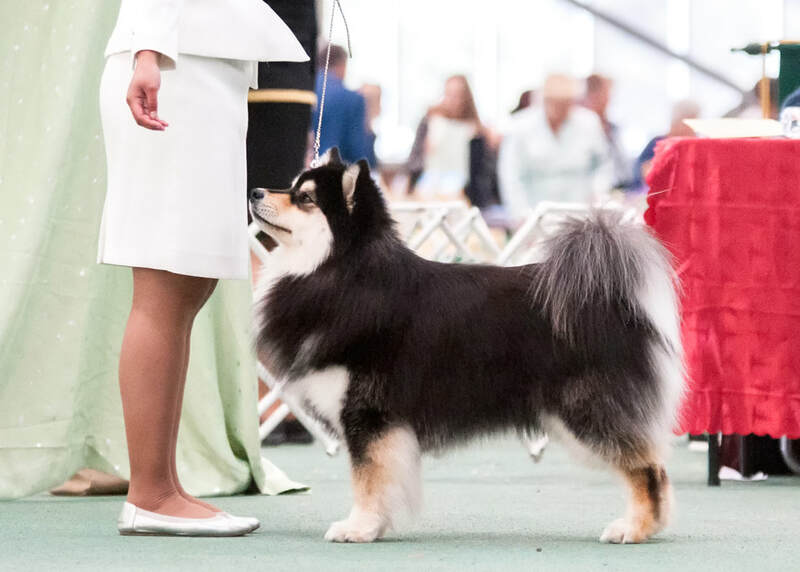 Show Results: Zeke is the youngest Finnish Lapphund in Australia to achieve the title of SUPREME CHAMPION, doing it at the age of 22 months. We are so proud of his achievements to date and we look forward to seeing Zeke shoot for the stars! ​Zeke resides with and is co-owned and handled by Huey Miin Lim. Zeke is from our Haaveilla litter and from the very beginning, was off to a flying start in the show rings. Despite his age, he has turned heads and already has an impressive list of wins at both breeds and specialty shows. That said, Zeke is still yet to reach his full potential and we are looking forward to seeing how he matures. We truly love being part of the campaign for this special boy, and you will find him in the rings around the country.